Hi everyone! I’ve got the 3rd polish to share with you all from Superchic Lacquer’s Spring 2015 ‘Serendipity’ Collection! If you want to see these polishes head over to my Instagram account – I shall be posting swatches there first!!! This collection is filled with bright, neon pastel shades and it does not disappoint! This collection will be available for purchase on March 10th, 2015 on her Etsy site. Superchic Lacquer ‘Nothing Ventured’ – is described as ‘a sultry silvery light to medium grey that screams ‘give me adventure’. 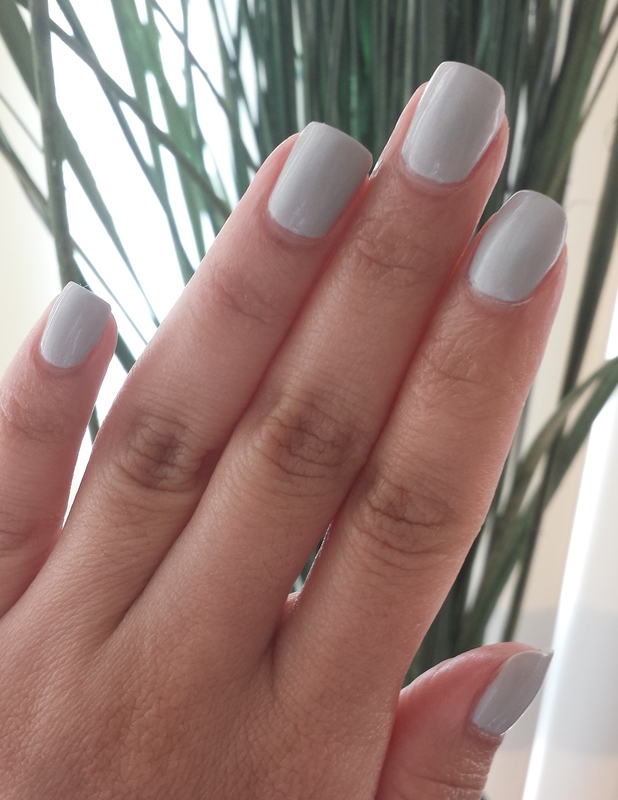 This is definitely a light warm tone grey and I AM OBSESSED! I consider this the hidden gem of the collection – it’s the PERFECT grey for warm, medium skin tones and is a polish you can wear in any season! That’s a difficult thing to do – grey are usually cool toned with blue or purple hues but this is different and I’m LOVING it! This was opaque in 3 coats, the dry time was between 7 to 10 mins for each coat and it dried down to a semi-matte sheen. The first coat like the rest was patchy however these are neon pastels and from my experience this is the typical formula from most main stream brands as well particularly China Glaze, so I have no issue with the formula – the finish product is worth it! The silver sheen in this polish is so subtle but classy – I’m very drawn to finishes like this because it gives that something ‘extra’ to the polish that does NOT make it appear frosty or too shimmery. While it might seem simple compared to the vibrant neon pastels in the collection – this is most likely the one people reach for the most throughout the year! I can see myself finishing this bottle of polish within this year – it’s classy, feminine, neutral yet different! I’ll be wearing this one with jean jackets, summer dresses, fall boots and winter scarfs. It’s GORGEOUS year round. Do you own any Superchic Lacquer polishes? Which ones are you picking up from this collection?